Bathers Paradise Caravan Park is a family-owned establishment with a well-deserved reputation for friendly, attentive hospitality and excellent holiday accommodation. Offering grassed shady sites, we provide excellent facilities for caravans, tents, and motorhomes, as well as cabin accommodation. Bathers Paradise Caravan Park is superbly located 3.5km east of the main town centre of Esperance; far enough away to appreciate the quiet, relaxing atmosphere – close enough to stroll along the newly redeveloped Esperance foreshore, to the town precinct. Situated only a minute walk from the Castletown Quays swimming beach which overlooks the iconic “Bay of Isles”, make Bathers Paradise your stepping stone to the magnificent Esperance & South Coast region. 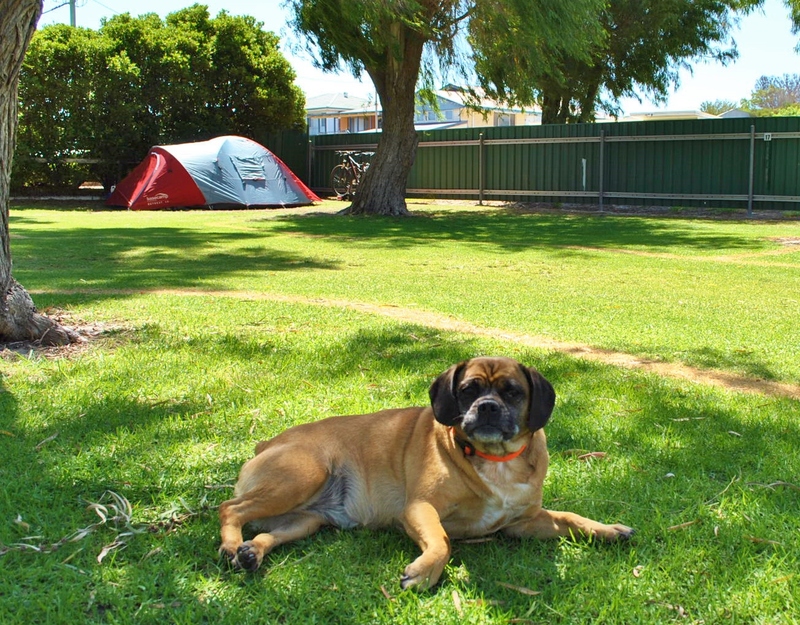 We are a pet friendly holiday park, and are located only one street from the dog friendly beach – where your four-legged companions can stroll beside you along this extensive stretch of Esperance coastline. PLEASE NOTE: WE DO NOT ACCEPT DOGS OVER THE DECEMBER/JANUARY SCHOOL HOLIDAYS. For more information on our Dog Policy, please click here.